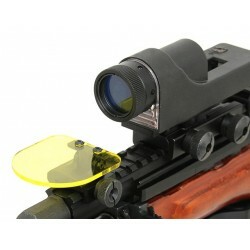 Airsoft High quality EOTech QD FTS, 3x magnification scope, Tactical design, Made by aluminum &amp; rubber material. 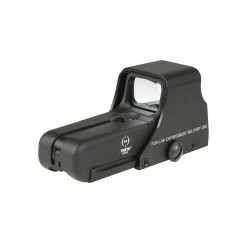 Full metal flip. 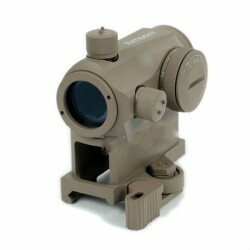 Hybrid Sight. 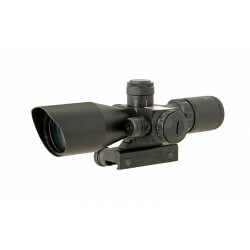 A replica of HWS, the best for two eyes open shooting and when you need speed and accuracy. 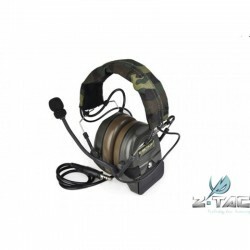 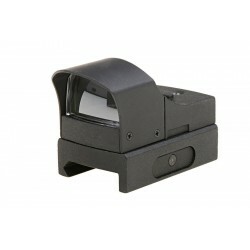 Guarantees faster target acquisition and gives the operator greater zone control. Fits all standard Picatinny rails. 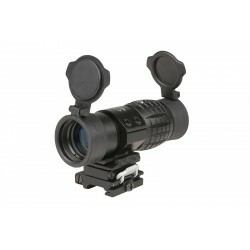 Illumination types: red and green. 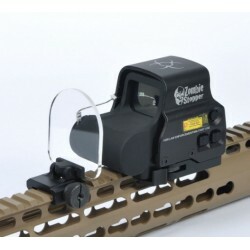 30 MM AIRSOFT DOT SIGHT. 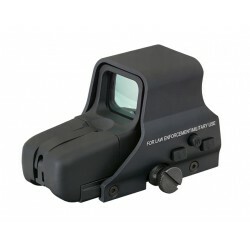 Classic military styled dot sight available in two different sizes – 40mm and 45mm. 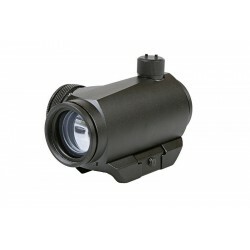 All versions has insensitivity settings and the illuminated dot has both windage and elevation adjustment. 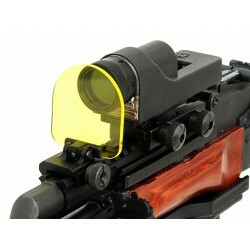 Metal Constructed Killflash for ACOG scope. 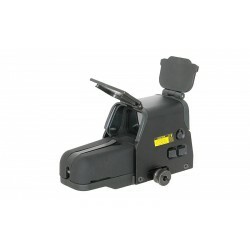 Easy to install with included elastic band. 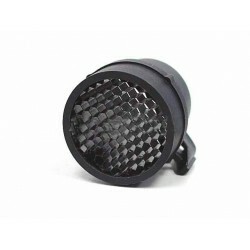 Protect your eyes blind from optical probe "OP" Flashlight (strong lighting). 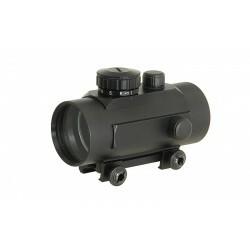 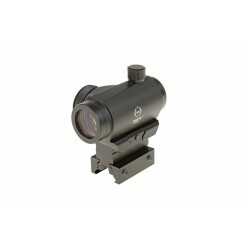 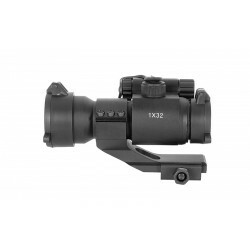 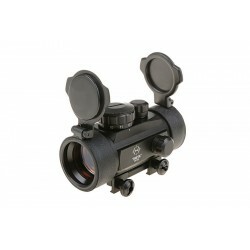 Able to protect the front lens of your ACOG scope. 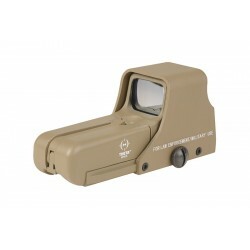 Holographic Tactical 551 Dot Sight TAN, the best for two eyes open shooting and when you need speed and accuracy. 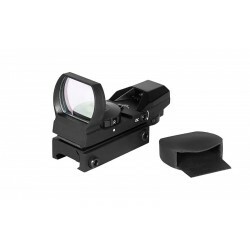 Guarantees faster target acquisition and gives the operator greater zone control. 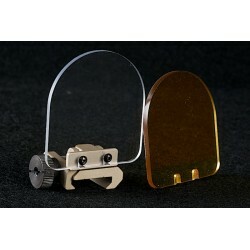 Fits all standard Picatinny/Weaver rails.